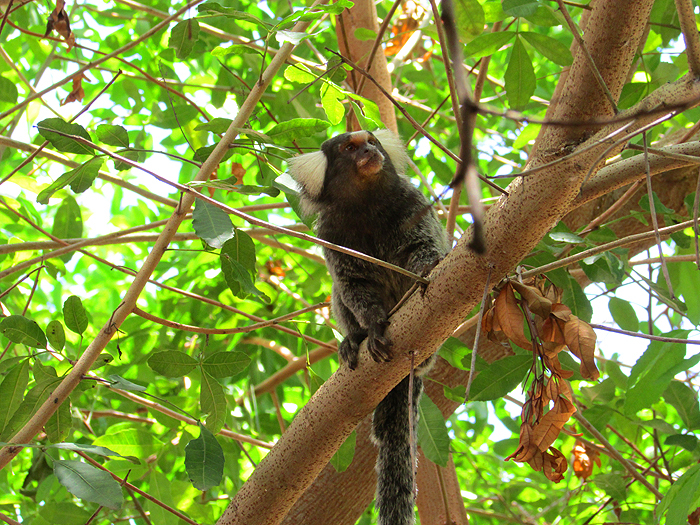 As I said on my last blog page I'm back from my visit to Brazil, so my first job this time is to set the scene. 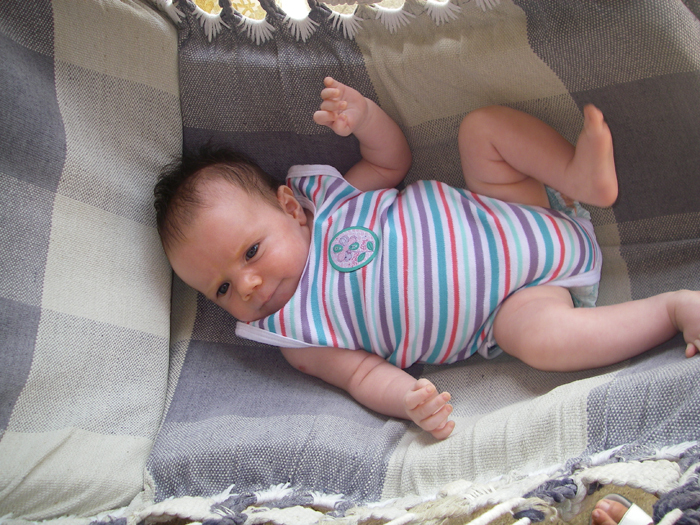 We went, not for the fishing but to meet our new granddaughter Jasmine who arrived in early January. 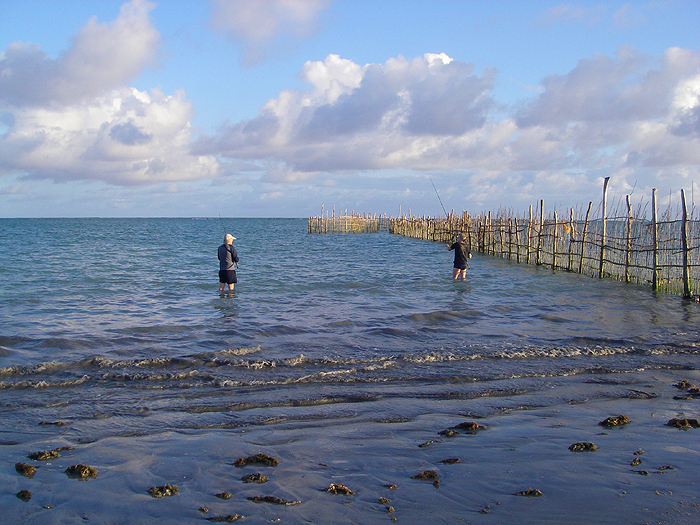 Our third son Richard (Jasmine's dad), who is a keen angler and his partner Ana live in Maceio in the state of Alagoas. Their house is only a minute from a fantastic beach which fronts onto a large lagoon protected by offshore reefs. 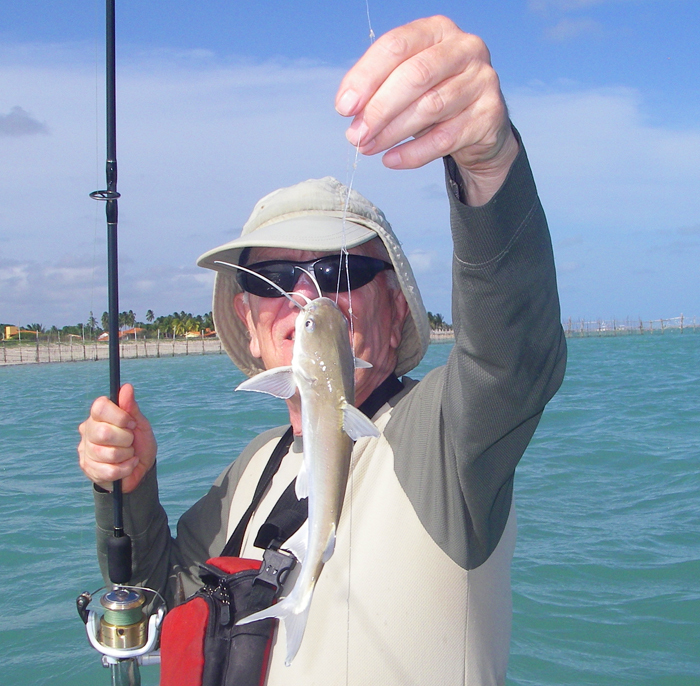 Wonderful fishing, you might imagine, and sure enough Richard has hooked several very big fish from his kayak. However, he told me that fishing from the shore or wading in the lagoon were only likely to produce small stuff - and he was absolutely right. The first hint that the fishing might not be all you would hope for is the absence of seabirds. Apart from a lone ringed kingfisher and a few sanderlings and plovers on the beach there was no sign of terns, pelicans, boobies, noddies or even gulls while I was there. Not encouraging! 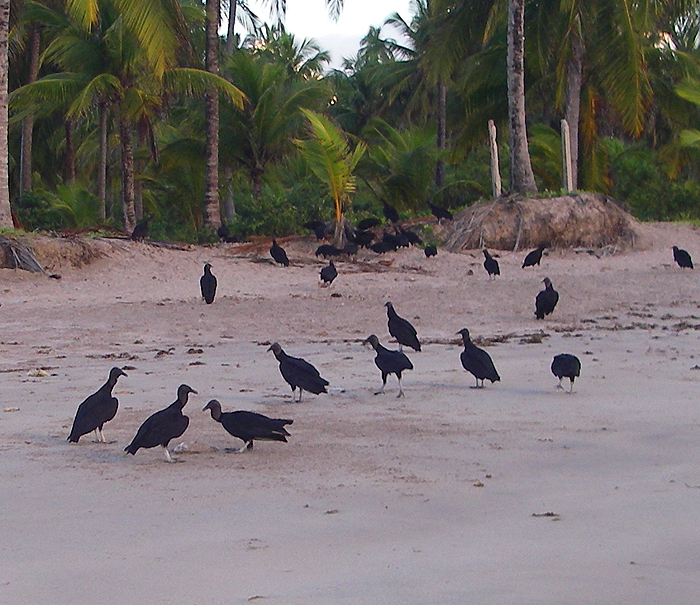 In fact the commonest large birds were black vultures which flock to any carcases washed ashore. Dead fish, turtles and indeed anything edible invariably attract a horde of these scavangers along with the occasional caracara and turkey vulture. Interesting but little use as indicators of where to fish. The locals tend to fish for the small fish in the lagoon using traps, seine nets and gill nets and during my stay I rarely saw anything weighing more than a pound caught, the exception being a couple of small stingrays. Richard thinks that the lagoon may be heavily overfished and, having seen it, I can't disagree. Anyway, fish we did and it proved fascinating. The standard approach is to bait with prawn or bits of fish on smallish hooks and this is likely to produce a wide variety of species (we had over thirty different species in all). Perhaps the commonest catches are silver catfish which will engulf any piece of bait (Rich has caught them on dog biscuits a la carp). 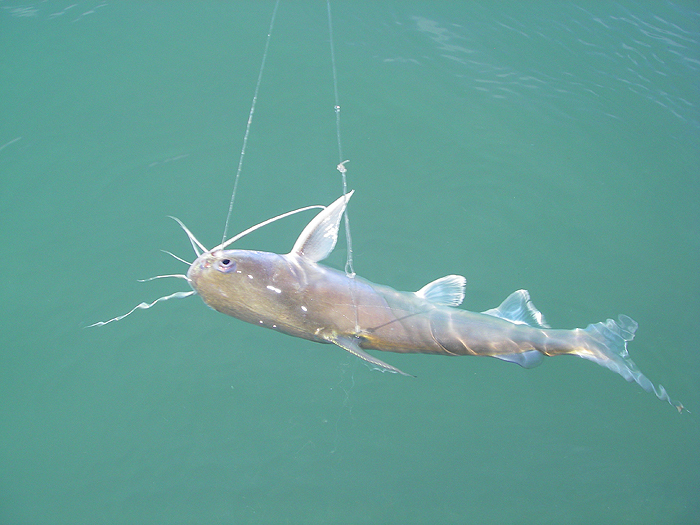 Landing a catfish can be exciting because they are armed with huge, venomous fin spines which lock into position and are liable to stab you if you're careless. The best procedure is to grip the hook with pliers, shake the fish off, pick it up (again with the pliers) by the dorsal fin spine and plonk it back into its native element. 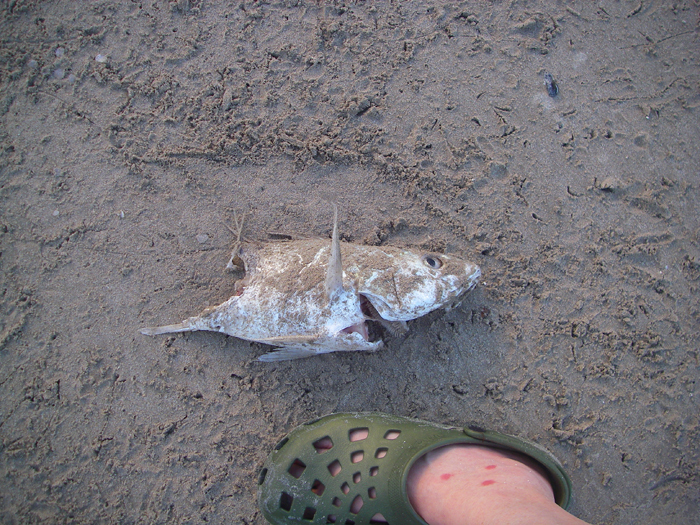 Next time I'll say a bit more about the fishing and show you some of the bizarre creatures that we caught.